Jeff handles all aspects of litigation with a particular emphasis in employment and investment disputes involving brokerage firms, financial advisors, and investors. He also negotiates contracts and handles a broad range of litigation matters for businesses and individuals. Jeff has extensive experience in state and federal court, including appeals and bankruptcy proceedings. Jeff has handled dozens of arbitrations from commencement to conclusion, including pre- and post-arbitration court proceedings. 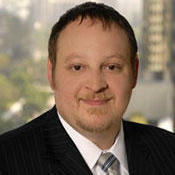 Before starting his own practice, Jeff was a partner at an LA litigation firm representing major financial institutions. Jeff spent the… read more first 7+ years of his career at McDermott Will & Emery. "I’ve worked with Jeff for many years as our primary California outside counsel. He efficiently handles every stage of litigation with strategic focus and attention to detail. If he can’t get your case settled, he can try it effectively. I highly recommend him." "Jeff has been my go to California lawyer for eight years. He has handled more than a dozen matters for me from inception all the way through trial if necessary. He is smart, thorough, highly capable, and a very effective advocate and trial lawyer."